I’m in a country where it’s so underpopulated unlike China, but yet beautiful and peaceful – Iceland. 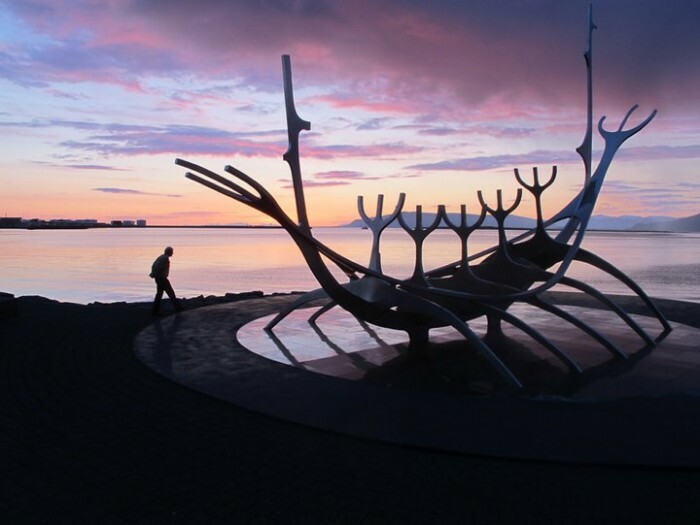 As I walk through the capital city, Reykjavik, it is seemingly bizarre to be in a place that is so small and to call it a capital city. All the capital cities to where I’ve travelled are busy with lots of people and too many roads to navigate in one day. 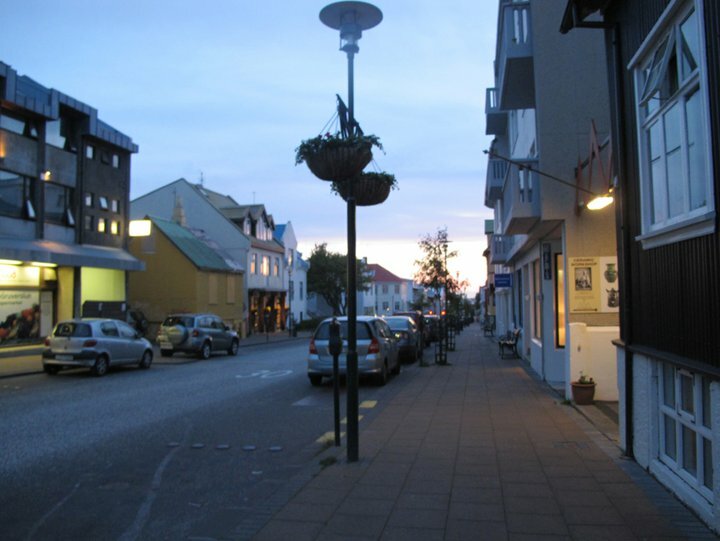 In Reykjavik, it takes only a few hours to explore every roads. The buildings are extraordinarily colorful – so colorful that they standout too much from the landscape. Some buildings are bright red or yellow or green. There is even one in my favorite color, TURQUOISE. In my hometown, Boston, we have quite a few wildly colorful buildings and when I see them, I always react, “Why the heck someone would paint in bright colors?” I’ve realized that I haven’t asked this question here. It’s because in my hometown, bright buildings are far few and between. In other words, there are not many painted in bright colors as that’s not the norm in our culture. 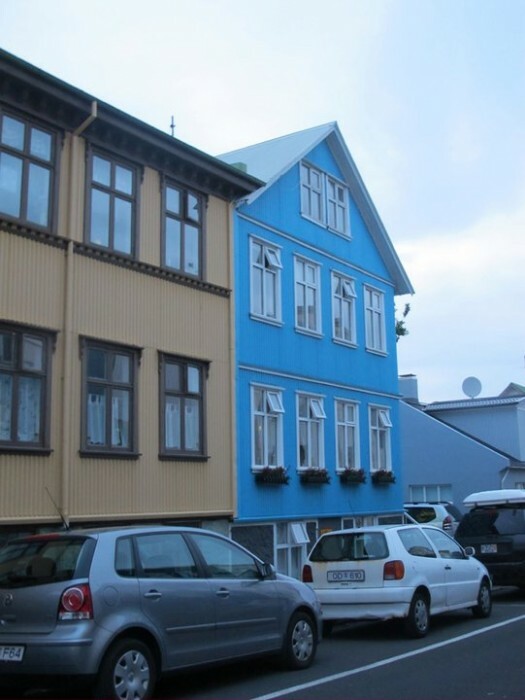 However, in Reykjavik, most of the buildings are in flamboyant colors and so, it is obviously part of the culture in Iceland. I have to shamelessly admit that I thought Icelandic people would have a totally extravagant and different fashion style from other cultures as this country has only a few hundred thousand people and didn’t think that other countries would pay the expense to import goods to a tiny country and therefore, create their own ordinary fashion and plus, this country is so seemingly isolated from other parts of the world when I see the map of the world. I couldn’t be anymore wrong. These people look just like any other Europeans. They were same and ordinary clothes that Americans and Europeans wear. Although, they do have one unique fashion piece and that is hand- knitted sweaters with interesting patterns below the neckline. Iceland is known for its unique wool that can’t be found in any other parts of the world due to having this unique breed of sheep that doesn’t exist in other countries. I brought one sweater for myself. It’s in middle of the night here in Iceland and the sun is shinning as bright as it can be. It’s a challenge to live in 24 hours of sunlight. I’ve been struggling to sleep because the sun wakes me and moreover, I have a hard time going to sleep because my mind is telling me, “It’s still light out! No need to go to bed!” I was so exhausted last night that I actually was able to fall asleep earlier, but tonight, that’s not the case. UGH! Fortunately, tomorrow, I’m going to the Blue Lagoon, a spa resort and relax in this nice and big thermal bath and get a massage. It’ll be my first time going to a thermal bath and so, I’ll be interested in seeing how this experience goes. I hope it doesn’t smell too bad…when I put on hot water in the shower or in the sink, it smells kind of like rotten eggs! Ewww! BUT – it’s still totally natural water…it’s just how it smells in Iceland!